Explore SPU’s 65 majors and 57 minors, and see the career outcomes of an SPU education. Learn more about all 45 of SPU’s graduate programs: master’s, doctoral, certificate, or dual degree. Ashton Yang’s first job in college was steaming milk and pouring espresso at the on-campus coffee shop. 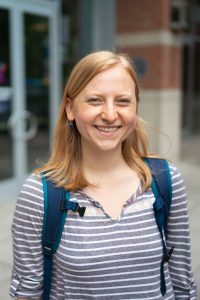 But after a steady progression of part-time work, the cellular and molecular biology major landed a full-time job as a research scientist in Seattle after graduation. But it wasn’t always easy. If you’re looking for a part-time job, here are four questions to consider. 1. Do you want a work-study job? 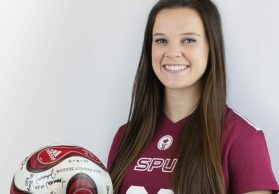 The vast majority of student jobs at SPU are work-study jobs, meaning any money students make through the job does not count as income on their FAFSA and therefore won’t affect their financial aid package. Even if work study is not part of your financial aid, jobs on campus are still open to you. Students earn $15.45 per hour at on-campus jobs, as well as off-campus jobs at companies with more than 500 employees. While Ashton’s part-time job her senior year, a research role at the Center for Infectious Disease Research, qualified as a work-study position, not every off-campus position does. 2. Do you want to work on campus or off? 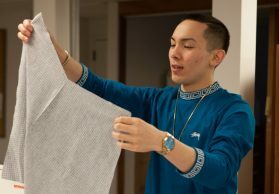 Toward the end of his first quarter at SPU, Hector Dominguez-Maceda ‘19 worked at Best Buy. Eventually he changed to a student office assistant job in the School of Education. “It was a lot easier on my schedule because I did not have to commute as much,” Hector says. 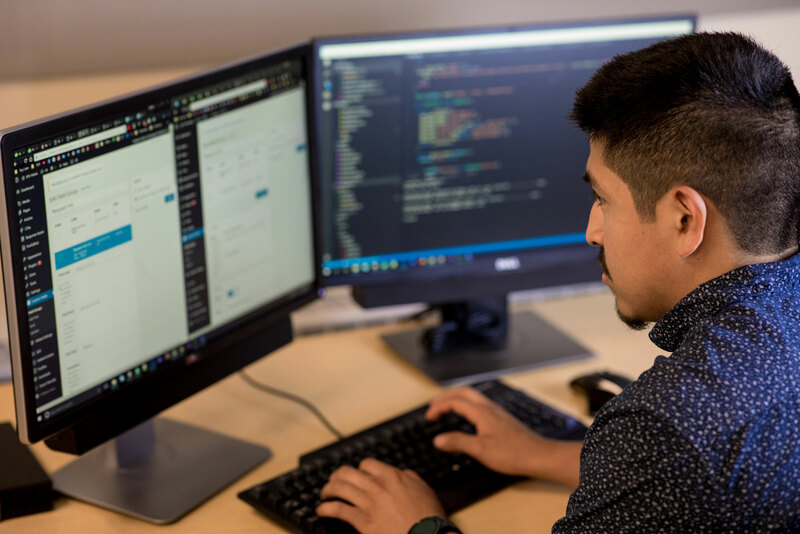 Now in his junior year, Hector also works as a computer science lab assistant and as a student web developer in SPU’s communications office. 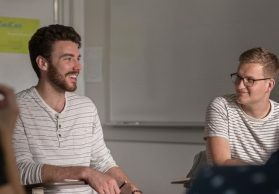 It saves time on his commute, but more importantly, the computer science major and aspiring software developer enjoys the flexibility and career experience he’s gaining from his work. “These jobs have been really helpful in terms of seeing what kinds of tools are being used on a larger scale than your homework, but on a smaller scale than an Amazon or Google,” he says. 3. Do you have a car? “Being on campus the first two years was really crucial because I don’t have a car,” Ashton says. 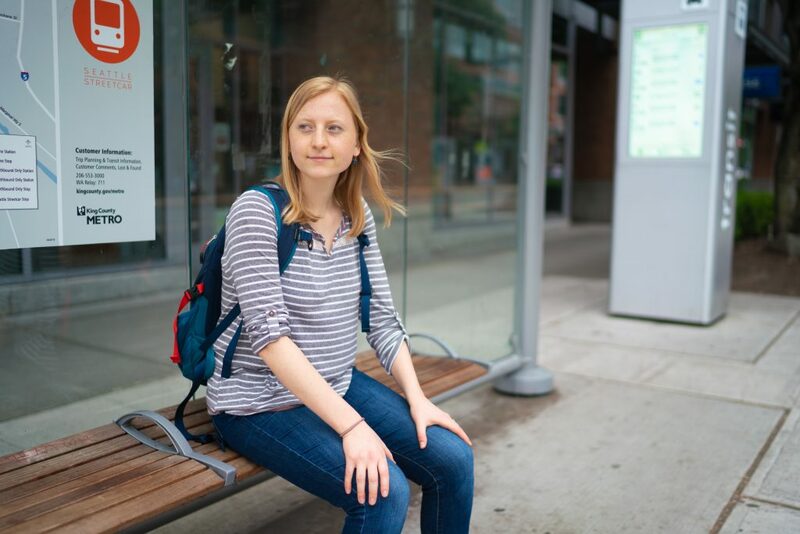 But once she started spending time in off-campus science labs, Ashton still had an easy commute, as both research facilities gave her a free bus pass. SPU also offers free bus passes to students, which are available in the Student Union Building. Check bus routes for times and convenience before getting off-campus jobs. 4. Have you checked all available job postings? 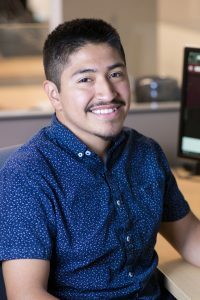 Hector found all of his three jobs on Handshake, SPU’s online forum and mobile site connecting students and alumni with potential employers. “It’s been really helpful,” he says. SPU also hosts a job fair at the beginning of the year, where more than 60 on-campus and off-campus employers try to recruit interested students for part-time work. Other resources include Switchboard, an online alumni network, as well as Resume Rescue, an event to help students spiff up their résumés. 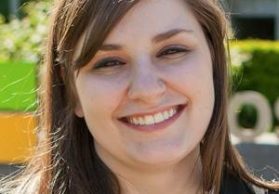 When Ashton started looking for part-time jobs in her field, she says Mark Oppenlander, director of SPU’s Mentor Program, was a crucial resource. He interviewed her extensively about her career pursuits, and searched for about a month before connecting her with the Fred Hutchinson Cancer Research Center, where she eventually interned. Editor’s note: The $15.45 per hour minimum wage amount was accurate when this story was published on July 13, 2018, but has since risen to $16 per hour. See how SPU can help you achieve your academic and career goals!